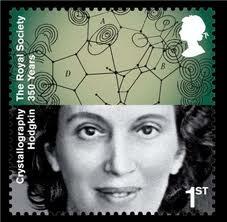 I’ve often said that Dorothy Hodgkin* approached her scientific work with the soul of an artist. She saw beauty both in the natural forms she studied and in the geometric shapes that emerged from her painstaking analysis of X-ray reflections. Her goal was to produce a finished structure that was as perfect as it could be. While she was well aware that the structure of insulin, for example, was crucial to its role in controlling blood glucose, she left it to others to make those functional connections. Thanks to an invitation from the wonderful crew who run the Trowelblazers website and blog (the result is posted today), I have recently spent some time thinking about a painting that Dorothy made as a teenager. Continue reading But is it art? Posted on September 11, 2014 January 24, 2017 Categories UncategorizedLeave a comment on But is it art? 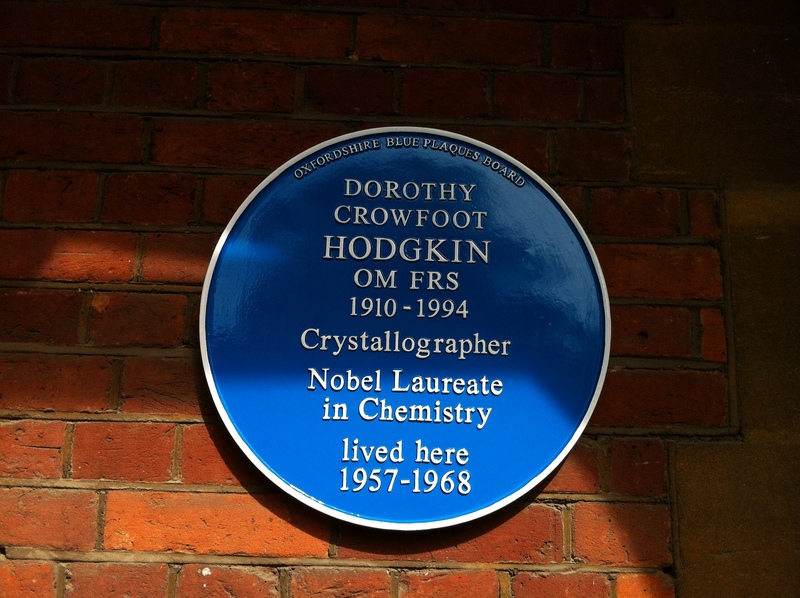 Though I once caught a glimpse of a frail figure in a wheelchair at a function in an Oxford college garden, I never met Dorothy Hodgkin. But she has probably influenced my life and work more profoundly than any other. I had to heave a sigh, not for the first time, when during last night’s BBC University Challenge quarter-final the otherwise frighteningly well-informed Pembroke College Cambridge team failed to identify Dorothy Hodgkin from the Royal Society stamp issued last year. Most of them are reading for science degrees, too. They did have a stab – after a hasty discussion, the electron density map at the top of the stamp seemed to give them a clue. DNA, someone ventured (it’s actually Vitamin B12). Rosalind Franklin! She has always been better known than Dorothy, not so much for the invaluable role she played in the solution of the DNA structure, but for her subsequent caricaturing by Jim Watson and the fully justified backlash that followed. But it wasn’t the answer Jeremy Paxman was after, and they uncharacteristically failed to add to their eventual winning total of 240 points. I did what I could last year – Dorothy’s centenary – to raise her profile, touring Hidden Glory and contributing to a day in her memory at the Royal Society. But it seems that even the distinction of being Britain’s only female science Nobelist is not enough to penetrate the consciousness of the best young Cambridge minds. Today is a day of forgotten heroes, and the Leo Foundation chose it to remember those visionaries at J. Lyons & Co who built the world’s first business computer. Ever since I wrote A computer called LEO I’ve been honoured to belong to the small community of LEO veterans and enthusiasts who come together from time to time to celebrate its extraordinary achievements. 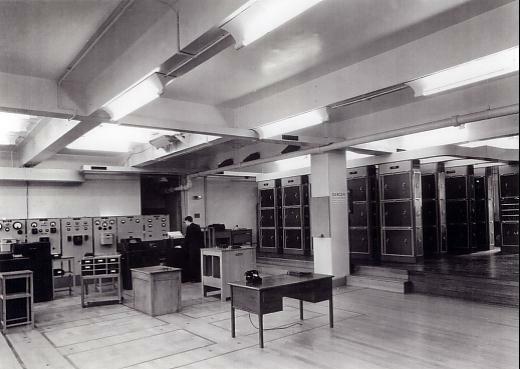 This month sees the 60th anniversary of the day on which the machine ran the world’s first clerical computing application, known as ‘Bakery Valuations’. To mark the occasion, the Leo Foundation invited LEO veterans, computer history VIPs and members of the press to a lunch at the Science Museum. The event was sponsored by Google. We had all been delighted when Google’s Eric Schmidt went out of his way to mention LEO as a high point of British innovation in his McTaggart Lecture at Edinburgh in August. Today I discovered that the researcher working with him on the speech, Lynette Webb, found the story in my book, thanks to a chain of events involving Bletchley Park and the business network LinkedIn. As a further consequence, Google arranged for its in-house video unit, Across the Pond Productions, to make a five-minute film for the anniversary celebration, and you can now see it online. You can also read the story in the Daily Telegraph, and hear Frank Land, one of the programming pioneers, speaking on the Today programme this morning. Mary Shelley’s ‘ghost story’ Frankenstein; Or, The Modern Prometheus was written to express her disquiet at the rapid advances of the Industrial Revolution, and at apparently uncontrolled advances in experimental science. The story has since been reworked for stage and screen scores of times, the latest being Nick Dear’s adaptation at the National Theatre. I have a personal interest in this production as Abbey Wright, who directed Hidden Glory, is working on it as Staff Director (assisting the Director, Danny Boyle). I bought tickets early, and chose to go to one of the preview performances rather than waiting until after the press nights. Hundreds of bloggers have reviewed the previews, not always fairly as it is a complex production and the whole point of previews is to iron out the gremlins. I don’t propose here to offer a full review of the performance I saw last night. Let’s just say that I’m very glad to have seen it, and if you’ve got tickets (the rest of the run is sold out) you can continue to feel smug about it. What I will say is that in Dear and Boyle’s production the role of science is almost incidental to the moral tension between Victor Frankenstein and his ‘Creature’: it simply provides the set-up for a relationship in which power betrays and ultimately corrupts innocence. Hubris is a concept as old as civilisation. Science may be the means by which Victor makes his fatal bid for immortality, but for the Frankensteins of today, politics, money or warfare can do the job just as well. Just a quick note to mention that I have just published an article in Encyclopedia Britannica on the history of women in science. It was tough to pick out just a few names in the 4500 years or so that the article covers (especially as I had a tight word limit). The ones I’ve included illustrated particular social factors that helped them to exercise their scientific minds: the brief flowering in Enlightenment Italy that saw both Laura Bassi and Maria Agnesi appointed professors at Bologna; the opening of women’s colleges in the late 19th century that proved a rich source of scientific assistance to the astronomer Edward Pickering or the geneticist Edward Bateson; the women’s movement that finally opened so many more doors. The ‘lost’ women of science seems to be quite a topic of debate. There’s also a nice piece by Uta Frith on the Royal Society’s history of science blog, about the palaeontologist Mary Morland. 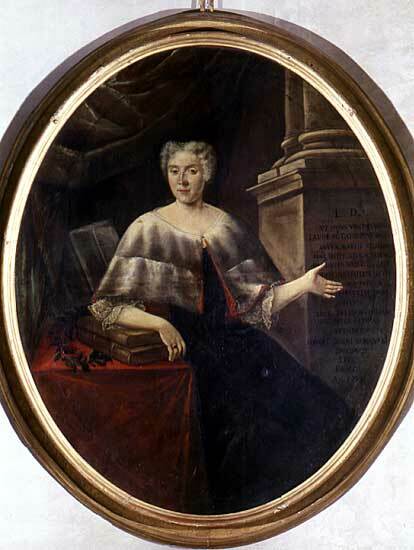 She married Oxford University’s founding Reader in Geology and dinosaur discoverer William Buckland, bore him nine children, edited and illustrated his manuscripts and coped with the mental breakdown of his final years. My recent experience as a biographer of scientists suggests that being a scientist is a bigger handicap than being a woman when it comes to penetrating the public consciousness. Some scientists barely impinge on the general public consciousness, yet have an enormous influence on others. One of these was Alison Brading, Professor Emerita of Pharmacology at Oxford University and former Fellow and Tutor of Lady Margaret Hall. Yesterday she was laid to rest after her heart and lungs finally gave up the struggle of coping with the aftermath of the polio that infected her in her youth. The college chapel was packed with her former students and colleagues. Formal obituaries will appear elsewhere, but as I am one of the students that Alison set on the road to a fulfilling career, I wanted to add my personal memory. I first met Alison when I went for interview at LMH, hoping to be admitted to read physiology and psychology. This was a late subject choice, and one I had totally failed to prepare for in my sixth form studies. I presented myself, aged 17, having offered papers in French and History in the Oxford entrance exam (you had to take it in those days) and planning to take A levels in those subjects plus English. I had O levels (the predecessors to GCSE) in Biology and Physics-with-Chemistry, so was not an entirely hopeless case, but the college seemed doubtful about my reading physiology and tried to steer me towards philosophy instead. I was convinced, however, that I needed a solid biological underpinning if I was to make sense of the experimental psychology course. Alison seemed to accept my argument, but clearly needed to establish that I had some basis to start from. ‘What is the function of water in the body?’, she asked. ‘Transport’, I answered, and to this day I have no idea how that word floated into my head. ‘That sounds all right’, she murmured benignly, and the interview was more or less over. And that is the story of how I came to do a science degree with arts A levels. I won’t say there weren’t some sticky patches on the way, and Alison played an important role in helping to keep me going when times got tough. It was was an article of faith with her that you could do anything you wanted if you put your mind to it. And as we heard from her brother during the funeral service, this was a lesson she had learned from her own experience. Having left school with a place to read medicine at Oxford, she had contracted polio in Nigeria during the summer holidays. Two years later she had survived the infection with her mind and spirit defiantly intact, but unable to walk. To its shame (this would not happen today), Oxford withdrew its offer because of her disability. 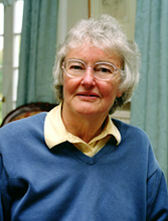 She studied at Bristol, and finally arrived at Oxford in the mid-1960s to begin a pioneering research career specialising in the physiology of smooth muscle. As tutor in physiological sciences at LMH she acted as mentor and friend to generations of doctors, psychologists and research scientists – and one science writer.